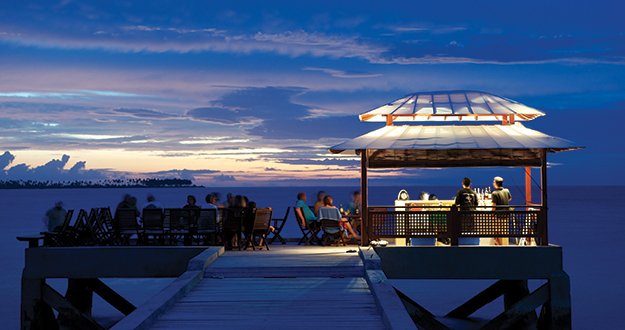 After a fulfilling day of diving and snorkeling, and a satisfying dinner, guests at Wakatobi might make their way to the outer end of the resort’s pier for a nightcap at the Jetty Bar. But for some, the evening’s liquid of choice isn’t wine or spirits, it’s saltwater. 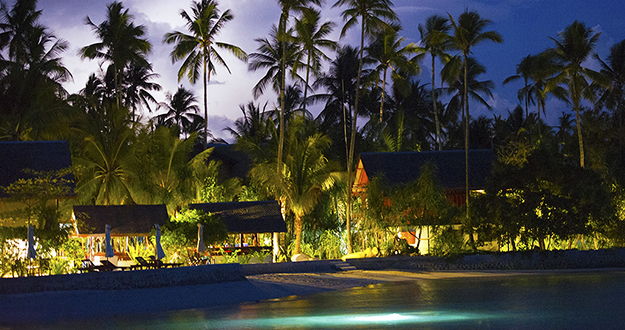 Night diving is a popular activity at Wakatobi. Diving after dark reveals a whole new underwater world and a cast of characters that often hide or sleep during daylight hours. It’s a time to time to see crabs, lobsters, and shrimp going about their nightly business. Octopi come out, bobtail squid glisten in the water columns and cuttlefish swim across the reef creating an amazing array of light and color. Under the nighttime sky, the flick of a fin, or the wave of a hand can produce a bioluminescent trail of twinkling lights. The dive center offers scheduled evening boat trips to popular reefs, but you can also delve into the shadows right from the beach by the longhouse, or from the resort’s jetty. Night diving veterans will often begin their immersion right after sunset, as the transition from day to night is when many of the reef’s predators become most active. For some, it’s the last chance for a pre-bedtime meal, but for many more, the growing shadows create prime conditions for the hunt. Under and around the Jetty Bar, common residents make use of the lights from above, which create a perpetual twilight. 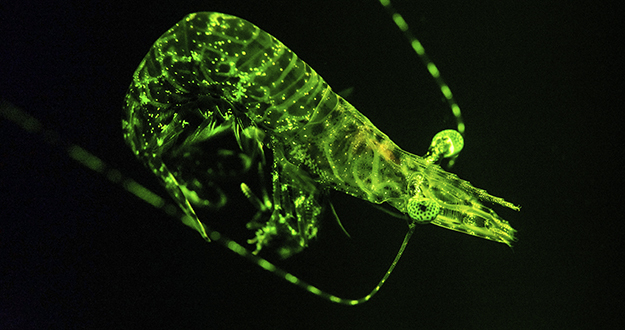 This siren-like glow attracts small fish and other assorted tiny marine creatures, giving the cunning predators a unique opportunity to extend their hunting forays. An array of crustaceans from crabs to lobsters and shrimp make good use of the cover of night to forage. A number of crabs are omnivorous creatures that feed on numerous things such as worms, decaying matter and algae, and many won’t say no to a bit of seagrass salad. The same lobsters that hide in nooks and crannies in the reef during the day come out in the open at night particularly on the sand and grass beds to hunt. They eat a variety of other sea creatures, including clams, urchins, crabs, and fish. When threatened or spooked, lobsters can move very quickly by contracting their abdomens, causing the tail to move up and down, but instead of moving forward, they retreat tail first in rapid order. The sweeping beam of a dive light often reveals an even broader cast of creatures that remained stationary during the day, but are now on the move. 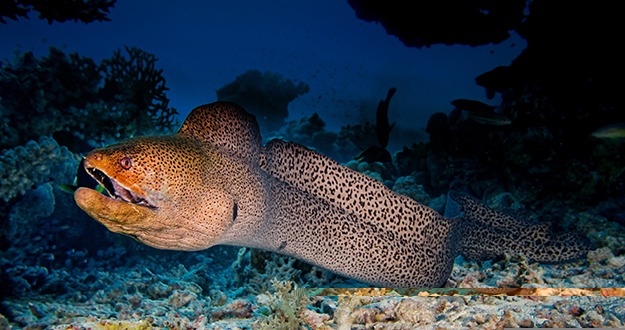 Moray eels, famous for poking their heads out from shelter during the day, now slither through the shadowed crevices and crannies of the reef. Morays feed on any animal dead or alive that they can swallow whole. The reason for their abrupt feeding behavior isn’t greed, it’s just physiology. These eels must swallow their prey quickly because they need a continuous flow of water through the mouth to provide oxygen to the bodies. This is the same characteristic that causes morays to display their characteristic teeth-baring grimace, which isn’t actually a threat, but just a physiological necessity. Though their bodies may blend into the surrounding coral, the Scorpionfish’s glistening eyes betray its presence under the beam of your dive light. Scorpionfish are solitary animals with nocturnal habits. They spend the day practically immobile, disguised amongst rocks and algae. At night they come out to feed on other fishes, crustaceans, and mollusks, which often cannot detect them thanks to the Scorpionfish’s elaborate camouflage. When disturbed, they raise their dorsal fin in order to exhibit their strong and threatening venomous spines. Yes, fish do sleep. Their lack of eyelids precludes them from getting true “shut-eye,” but they do exhibit a reduced rate of movement, and a slower heartbeat. Observant divers may notice that many of the fishes so prominent on Wakatobi’s reefs during the day seem to go missing after dark. The day shift hasn’t left, they’ve just retreated to shelter for a bit of rest. Some burrow into the sand, while many more tuck into the nooks and crannies of the corals, or duck under a ledge to grab a few winks. Yes, fish do sleep. Their lack of eyelids precludes them from getting true “shut-eye,” but they do exhibit a reduced rate of movement, and a slower heartbeat. Their level of inactivity during rest varies by species. Some will hover, while others like triggerfish will find a secure crevice and lock themselves in place with their fins. But even when napping, most fish remain alert to danger and can make a quick escape if need be. 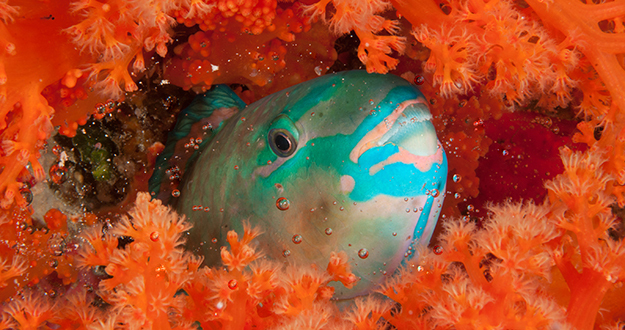 Among the most storied sleepers on the reefs are the parrotfish. 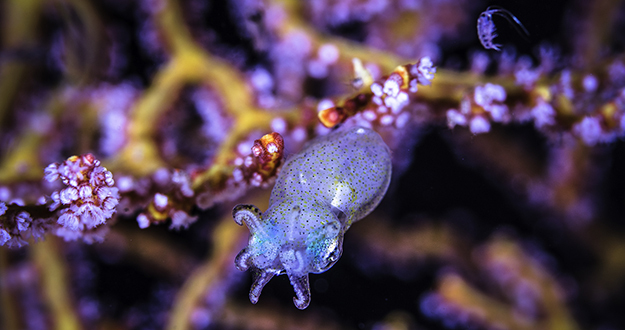 Many of these coral grazers knock off after dark, seek out a cozy cranny, and start blowing bubbles. It takes a parrotfish about an hour to fully encase themselves in a mucous cocoon, and unless disturbed they will spend the remainder of the night within this slimy bedchamber. It was long thought that these bubbles were blown to mask the parrotfish’s scent from would-be predators, and to serve as an early warning system. And to some extent, this may be true. But marine biologists have shown that the primary purpose of the mucous envelope is to deter parasites such as blood-sucking isopods. 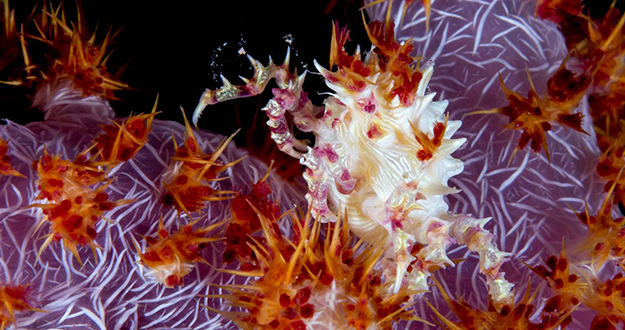 These are just some of the wonders you will encounter on a night dive at Wakatobi. And once you have surfaced, rinsed and refreshed, you can return to the Jetty Bar to relax with a favorite libation while you recall the nightly spectacle taking place right below. Time to experience for yourself all that Wakatobi has to offer? Contact us at office@wakatobi.com or send a quick trip inquiry from wakatobi.com.